Clara Barton Open School is a student-centered, public K-8 magnet school fostering a community of active, socially conscious, life-long learners. Instilling a love of learning. Valuing each child for his or her perspectives. Interdisciplinary curriculum and culturally responsive instruction. Developing a community of mutual respect and equity. Creative, courageous and collaborative inquiry for all. Child-centered decision-making & self-directed learning. Educating for a democratic society. Leadership Council Meeting - April 16, 4:30-7:00 p.m. Leadership Council has rescheduled last week’s meeting for tomorrow, Tuesday, April 16 from 4:30-7:00 p.m., in the Media Center. Please note the meeting is extended an extra 30 minutes. Agenda for the meeting will include Foundation Budget, Parent Survey Results and Improving Leadership Council Efficacy and Structure. Please join us! Childcare for school aged children and food will be available. Online Plant Sale Orders Close Sunday! There's still time to order your plants online! Order your plants online by visiting www.BartonPlantSale.com. The Barton Plant Sale online ordering website features photos and information about all our plants and merchandise. You can pay by credit card or PayPal account. At the end of National Volunteer Appreciation Week, we'd like to show gratitude for all Barton Open School Volunteers! Whether you are a parent, grandparent, neighbor or whether you volunteer in the classroom, for special school programs and events, or school leadership, we appreciate your time and dedication to making Barton a great school for all children. Earth Day Clean-up at Barton - April 20th! Celebrate Earth Day on Saturday, April 20th from 9-11am here at Barton Open School! Please bring your rakes, gardening gloves and enthusiasm as we clean up and beautify our school grounds as a community. The Plourde Team (Shannon & Jennifer) from Keller Williams Realty is sponsoring the event and will be providing yard waste bags, along with coffee and doughnuts. Adult Spring Sampler Event is happening on Saturday April 13th at the new 800 W. Broadway Building from 9:30-1:30 pm. The event is entirely free to the public. There will be three free classes people can participate in: Personal Branding: Update Your Look for Success, Somali Dance, and Ten African American Artists You should know. A light lunch and childcare will also be provided that day. We encourage people to RSVP either by emailing Yixiu.Chen@mpls.k12.mn.us, Eventbrite, or Facebook. However drop-ins are also welcome. Our Barton Plant Sale kicked off last Friday, March 22nd! We hope students will get out and sell, sell, sell over spring break. 6th-8th Grade Students are invited to register for the 5th annual Junior Iron Chef Competition on Thursday, May 2 at Solar Arts by Chowgirls, 711 NE 15th Avenue, Minneapolis, MN. Applications are DUE by 4 p.m. on Friday, April 5th! To learn more and apply, visit: http://cws.mpls.k12.mn.us/junior_iron_chef. Questions? 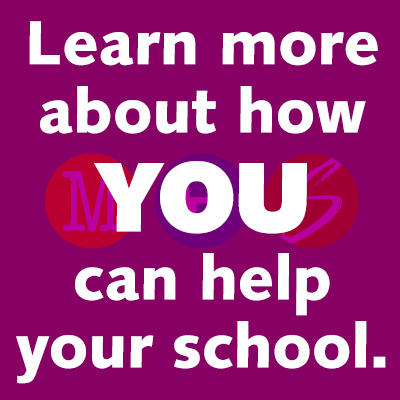 Please contact Kate Seybold at kate.seybold@mpls.k12.mn.us or 612-668-2852. Registration for the 2019 K-8 Soccer Camp at Washburn High School is open! Barton's Lego Wall is UP! Barton FUNdraiser Tickets on Sale NOW! Barton FUNdraiser Tickets on sale NOW! Click the link to purchase tickets to unique events that financially support our school. Marker Recycling is happening at Barton! All teachers now have a box in their rooms that is designated for recycling old markers. The program, Crayola ColorCycle is sponsored by Crayola (Crayola ColorCycle FAQs | crayola.com) but ALL markers can be collected no matter what brand and even including highlighters and dry erase markers! Thank You to Our 2018-19 Tour Guides! A BIG THANK YOU to the school tour guides for 2018-2019! Thank you so much to all the parents and staff who helped with school tours this season. As many of you know, it is a major investment of time and energy to lead school tours between November and February at Barton. Please click the flyer below for information regarding the Super Summer Program being held at Justice Page this summer 2019! Families with children and teens who have experienced the death of a loved one are invited to participate in a free, seven-week grief support group through Fairview Health Services. We incorporate fun, healing, and age-appropriate activities to help the entire family through the grieving process. Children and teens, ages 4 through 18, are divided into groups by age. While children and teens are meeting, support is offered simultaneously for their parent(s) and/or caregivers. The grief support group is free to join, but registration is required. Please see the attached flyer for more details. Barton's Dine & Give Nights! Mark your calendars for our upcoming Dine & Give Nights. These amazing, neighborhood restaurants will be donating proceeds from the evening to The Barton Fund. We hope you’ll be able to join us for one or all of the dates listed! Be sure to let family and friends know too. Please see the attached flyer for Washburn Tour dates! Friday Popcorn is a LONG standing tradition that was implemented by beloved teacher, Felicity Miel-Crosby. Felicity passed away in the fall of 2015. Since then, 3/4 Teachers have worked tirelessly to keep this Barton tradition! Donate to Barton via AmazonSmile! Did you know you can give money to Barton by shopping on Amazon with AmazonSmile? Here’s more the information on how you can donate! If you missed Barton's State of Our School and Title I Meeting last week, please find a copy of the presentation by Diane and Maria below! State of Our Schools and Title I Meeting - Oct. 11 6:30-7:30 p.m.
Childcare will be provided. We hope to see you there!